BUCHAREST, Romania (AP) — President Donald Trump on Monday reaffirmed Washington’s support for a business summit that aims to boost connectivity in Eastern Europe and improve ties between the region and the U.S. and European Union. The timing of the visit by Shen Yueyue, a senior official in the National People’s Congress, may raise eyebrows in the light of one of the biggest summits Romania has hosted in recent years. Yet it shows how Romania and its neighbors are using regional leverage to attract the best deal for the less developed part of the bloc. It’s something the EU is watching closely. Romania has traditionally good relations with China, dating back to the communist era, but has failed to capitalize on Chinese pledges such as building a rail network, Magdin said. As a result, China has done more business with Hungary, Serbia and Ukraine. Setting the tone for the summit which is headlined “Enhancing European and Trans-Atlantic cooperation,” Trump sent a letter Monday to President Klaus Iohannis saying the 12-member Three Seas Initiative could expand infrastructure, business connections, strengthen energy security and reduce trade barriers. “The United States remains a proud partner in these efforts …. in this strategically important region,” Trump wrote. 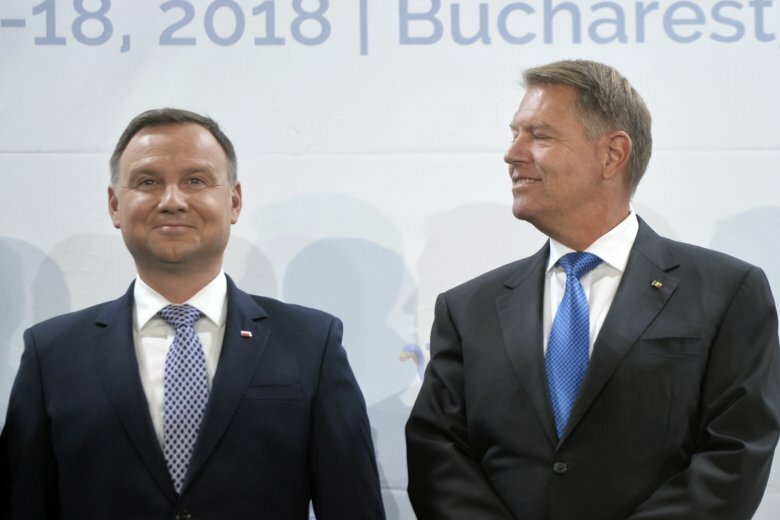 The Bucharest summit comes two months after Chinese Premier Li Keqiang met central and eastern European leaders in the Bulgarian capital, Sofia, for the seventh “16+1” summit, with countries hoping for state-backed Chinese investment. Magdin said that “everyone is paying attention to competing (regional) initiatives, but Brussels is the most attentive … as the biggest risk is an EU divide” between Eastern and Western Europe. He added that the EU may introduce legislation that would prohibit major non-EU investments in the future. The Thee Seas initiative is a cooperation of European Union members located between the Adriatic, Baltic and Black Seas. Austria is the only member that wasn’t formerly communist. The first summit was held in 2016. Trump attended the second summit in 2017 in Warsaw, Poland.